North Charleston police have charged Brandy Hanna’s former boyfriend in connection with her disappearance more than 11 years ago. Investigators are hopeful this is the first step in solving a missing person cold case — and possible murder — that has gained national attention. Garland “Zeke” Lankford, 40, faces one count of obstruction of justice after he recently made several statements in direct contradiction to earlier information he gave police in the weeks after Hanna vanished in 2005. The most damning revelation is Lankford’s admission that he “may have gone” to Hanna’s apartment on the night she disappeared. 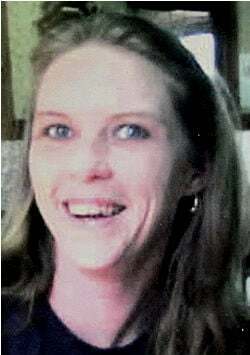 Hanna, 32 at the time, disappeared on May 20, 2005. She had worked the Friday night shift at Alex’s Restaurant on Dorchester Road, then got a ride home from a customer around 3 p.m. She talked by phone with her mother, Donna Parent, at 5:30 that afternoon and mentioned that Lankford was coming to visit. That was the last time Parent heard from her daughter. Parent reported her daughter missing that weekend, but because she was an adult, the police did not immediately investigate. But Parent knew something was wrong from the start and finally convinced police to search her daughter's apartment. Investigators found Hanna’s money and all her belongings there. It appeared she had stepped out of the apartment with every intention of coming right back. And for a decade, there have been few clues in what police say is one of the most perplexing missing person cases they’ve ever seen. The evidence collected in the days after Hanna’s disappearance, the most critical time in a missing person investigation, proved nothing. Phone records showed Hanna had texted with a friend around 8 p.m., and Lankford just after 10 p.m. But last week, confronted with evidence that he had not been at work that night and had spoken with Hanna by phone, Lankford told detectives “he may have gone to Hanna’s apartment and spent time with her on Friday, May 20, 2005,” according to an affidavit. Lacher has had access to Lankford, who moved to Greenville years ago, because he is currently in the Berkeley County jail facing charges of first-degree criminal sexual misconduct. He is accused of sexually assaulting a 7-year-old girl. Given ample time to question Lankford, Lacher found several inconsistencies in his story. Although he originally told police he had not contacted anyone except Parent about Hanna’s disappearance, phone records show Lankford called North Charleston City Hall at least three times before she was actually declared missing. Eleven years ago, Lankford told police that McAdams — who died years ago — contacted him about Hanna’s disappearance on May 21, 2005. Phone records show that Lankford texted McAdams several times the morning after Hanna disappeared. Parent, who has tirelessly worked to keep her daughter’s disappearance on the minds of potential witnesses and the police, got the news that Lankford would be charged with obstruction on her birthday. Hanna was declared dead in 2013, and Lacher considers this a homicide investigation. He said there are at least two other people who police believe have knowledge of the case and, if they don’t come forward, they could be charged with withholding information. Lankford was arrested by Hanahan police, and is being held without bail on the criminal sexual misconduct charge. He faces arraignment in February, and if makes bail, will be moved to the Charleston County jail, where he faces the obstruction charge as well as an old Family Court charge related to non-payment of child support. In June, the Investigation Discovery Channel ran a one-hour documentary on Hanna’s disappearance and police say they got dozens of tips about the case following its broadcast. Between those tips, Lankford’s obstruction charge — which carries up to a 10-year prison sentence — and cooperation from other witnesses, police say they finally may be able to solve one of the Lowcountry’s most perplexing, and tragic, mysteries.